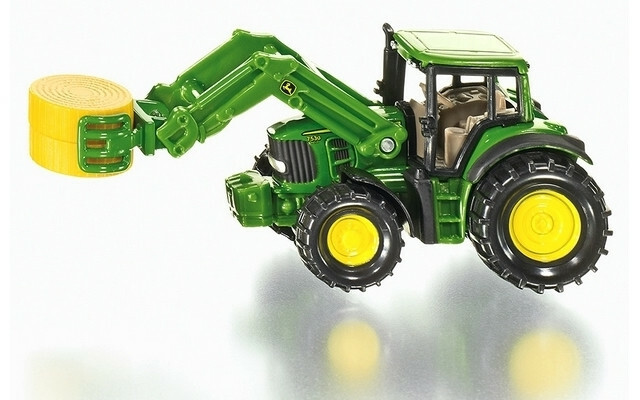 Siku expands the small agricultural model series with a John Deere tractor with front loader and hay bale grabber. Now individual round bales can be collected, transported and stacked with this toy tractor. One round hay bale included in the set.